Nominees include Jonas Kaufmann, Christopher Wheeldon, and The Royal Opera's offsite programme in collaboration with Shakespeare's Globe and the Roundhouse. The nominations for the Olivier Awards 2015 have been announced. The ceremony will take place at the Royal Opera House on Sunday 12 April. Two Royal Opera productions – Dialogues Des Carmélites and Die Frau ohne Schatten – have been nominated for Best New Opera production. Also nominated in this category are English National Opera's The Mastersingers of Nuremburg and Benvenuto Cellini. 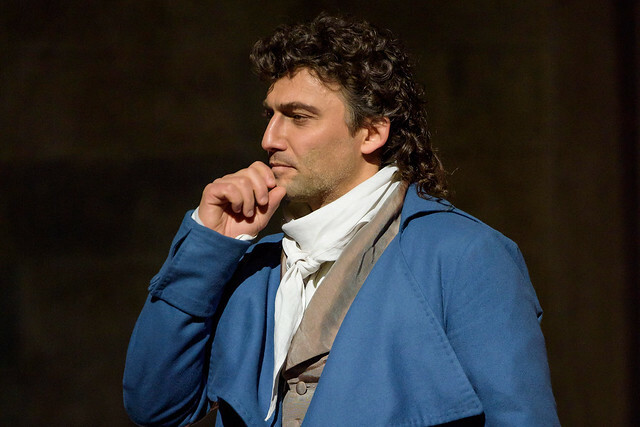 Jonas Kaufmann has been nominated for Outstanding Achievement in Opera for his performances in The Royal Opera's Andrea Chénier and Manon Lescaut. The Company's offsite programme at Shakespeare's Globe's Sam Wanamaker Playhouse and the Roundhouse (L'Ormindo and Orfeo, respectively); the Chorus of Welsh National Opera for their performance in Moses und Aron at Covent Garden; and director Richard Jones for his ENO productions of The Girl of The Golden West, The Mastersingers of Nuremburg and Rodelinda are also nominated in the same category. Christopher Wheeldon has been nominated for Outstanding Achievement in Dance for his Royal Ballet production of The Winter's Tale. Other high profile nominees include the Young Vic who received the most nominations of any theatre with 11, the Almeida's West End transfer of King Charles III, and the RSC's adaptation of Wolf Hall and Bring Up the Bodies. Jonas Kaufmann performances are really Outstanding enough, hope to see him rewarded, he deserves it! Jonas Kaufmann is an outstanding singer and performer. I have seen /heard him in many operas including Manon Lescaut and Andrea Chenier He makes his characters absolutely believable. He richly deserves this award! Kaufmann def. I also think that "Die Frau Ohne Schatten" deserves an award. This is not an easy opera to put on and places huge demands on everyone. The ROH production was splendid and really let us appreciate the sheer wonder of this opera. I absolutely agree with the last 3 posts. Jonas Kaufmann will capture the award! I review the LIVE-AT-THE-MET-IN-HD transmissions for Patch; have covered Jonas Kaufmann since 2009 and have seen/heard all his HDs and CDs since way before. He is a remarkable phenomenon and deserves every award he gets! Hals und Beinbruch, Mr. Kaufmann.